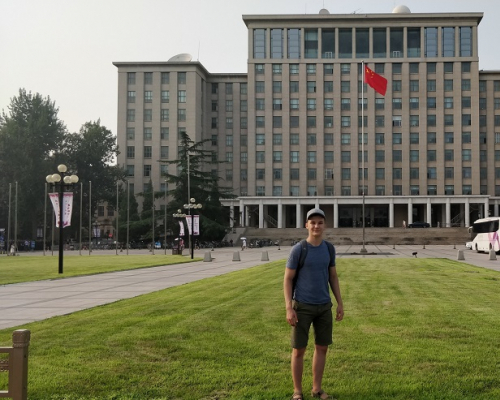 Artem Solomin and Roman Zateev, the students of the School of Computer Science & Robotics, participate in the Experiencing China Tsinghua Summer School 2018 of Tsinghua University. In Beijing, the students are studying features and prospects of development of industry and education in China. Over two weeks, more than 300 students from all over the world are training in the Tsinghua summer school in the 11 fields, such as Industrial Boundaries, Innovation and Entrepreneurship, Urbanization, Education, Environment, and others. Within each of these fields, students get acquainted with various industries of the country under the supervision of professors and teachers of the leading university of China. “To take part in this school we had to go through a strict selection at TPU. There were ten people per place and there were only two places. 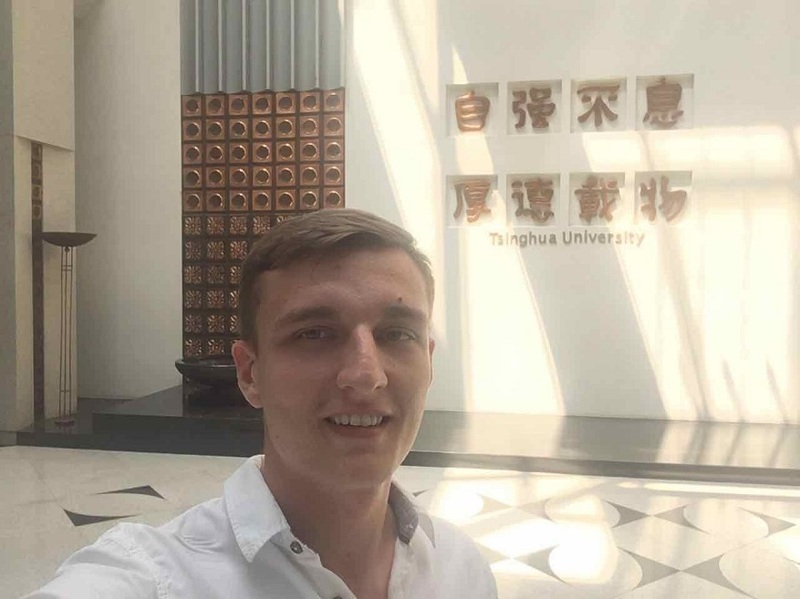 After that, there was a selection at Tsinghua University where we competed with the best from the world’s top universities”, - says Artem Solomin, a student of TPU. In the field Industrial Boundaries that I chose, there are students from various international universities, as Imperial College of London, Massachusetts Institute of Technology, National University of Singapore, Columbia University, University of Tokyo, and Australian National University. There are only a few students from Russia among which are several humanities students from St. Petersburg and Moscow and us (engineers from Tomsk Polytechnic University). According to the university students, the school has an intensive educational program. Every day students work on group projects, attend lectures and excursions to the country leading companies. "On the school last day we will present group research reports on our projects in the specified fields. Currently we are working on them; besides, we visit the Chinese technological companies and get acquainted with their activities and achievements. We have already visited Huawei, Microsoft and fifteen other companies and incubators, - says Artem. Such programs allow pushing the envelope, getting new knowledge and experience. It is a good place for making new contacts. The people around me are future leaders of their countries and employees of the world largest companies. The school professors are renowned and respected people here in China. For me, it is especially joyful to realize that our university is at the same level". Roman Zateev, a third year student of the School of Computer Science & Robotics, chose the field Online-education. "Our group is studying online education in China. At the lectures we talk with interesting people, who share their experience and tell us about their startups", - says Roman. The participation in the Tsinghua Summer School 2018 gives both useful knowledge and excellent practice of spoken English, since there are students from all around the world and you have to understand various accents. Additionally, here you can improve your Chinese language". 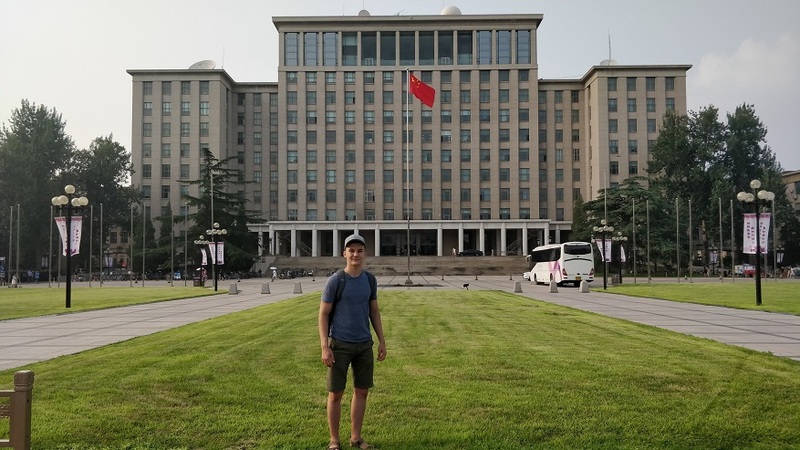 Photo: Roman Zateev against the background of the main building of Tsinghua. “The campus of Tsinghua University is a real city. Its area occupies about a half of Tomsk. To cross the campus on foot, for example from west to east, you need more than an hour and a half. This is a wonderful and beautiful place, which used to be a part of the park of the Imperial Summer Residence before it was destroyed. The territory is completely isolated and is well secured; therefore, it is safe here. Students like to travel around the campus on bicycles and scooters. Parking spaces and sidewalks are just jammed by them", - says Artem Solomin. 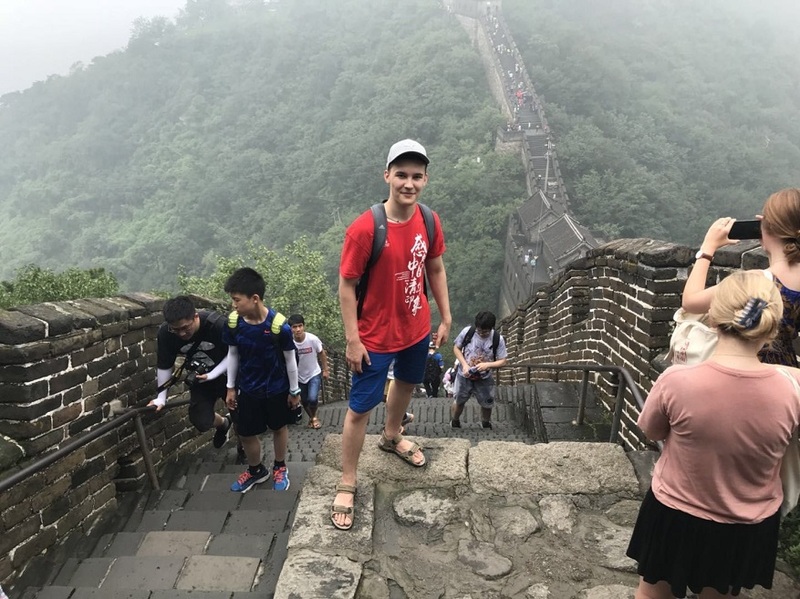 There is an eventful program for students, including trips to the most outstanding places of China so there is no day-off for the participants. The Tsinghua University was established in 1911 and is a state research university. It is one of the top 25 world universities, according to the QS World University Rankings. Currently, the university includes 14 schools and 56 divisions and its campus, located in the north-west of Beijing, was called as one of the most beautiful in the world.